Since I was so impressed by the Yes To Blueberries Age Refresh Smoothing Daily Cleanser, I decided to try another product from the Yes To line. And what better product than the Yes To Cucumbers Natural Glow Facial Towelettes ($5.99). Since I love to try different makeup removers, naturally, I could not resist picking this product up while shopping at my local Walgreens store. First of all, I really love the packaging. I love the bright pop of green, and the open/close lid-along with a sticker closure, which ensures that the towelettes stay moist and not dry out. 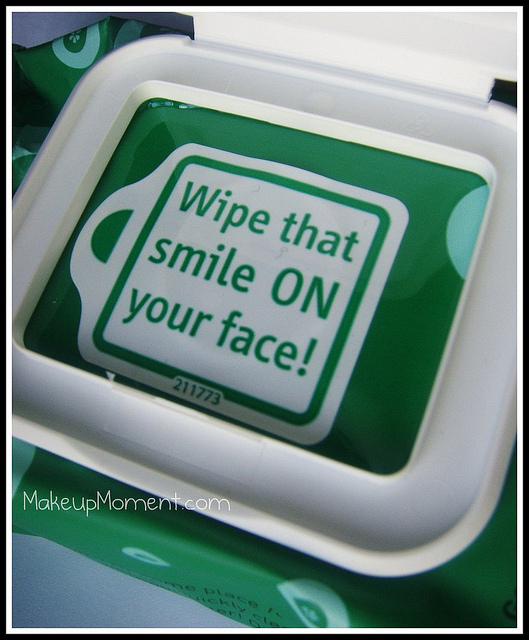 And how adorable is that sticker closure message that reads "Wipe that smile ON your face"! So cute! When I remove my makeup at the end of the day, I first use a separate oil-free eye makeup remover (Estee Lauder Gentle Eye Makeup Remover), then I go ahead and use one of the Yes To Cucumbers wipes to remove the makeup I have on my face. As soon as I place the wipe on my face, I am hit with a very soothing, and calming cucumber and aloe aroma that makes the removal experience quite enjoyable. I noticed that these wipes are not as moist as others I have tried in the past. But this does not bother me as long as it still does the job. There are two foundations that are in heavy rotation as of late, my MAC Pro Longwear, and Revlon Photoready. I am happy to report that these wipes do a good job at removing the foundation. 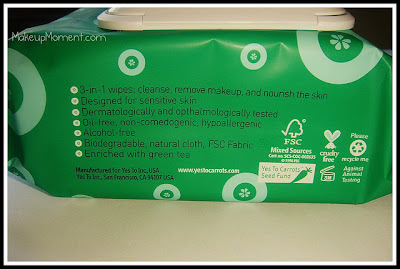 To experiment more with these towelettes, I skipped my Estee Lauder eye makeup remover, and tried removing my eye makeup with these wipes as well. It removed my eyeshadows well, but when it came to mascara and eyeliner, I still saw traces of it, so it did not completely remove it all. I would say that a separate eye makeup remover could come in handy if you are one who loves to play up your eyes with tons of mascara and heavy liner. After I am done removing my makeup with these towelettes, my face feels really clean and refreshed. I am left with no sticky residue or film on my face, just soft skin. My skin has not had any sort of irritation or allergic reaction to this product, and it has not caused any breakouts. I do really like these wipes and I would definitely repurchase again. I think that $5.99 for 30 towelettes is a pretty good deal. Not to mention that these towelettes are biodegradable! The Yes To line just keeps on impressing me with their environmentally friendly products. Love! Have any of you tried the Yes To Cucumbers Natural Glow Facial Towelettes? Let me know in the comments section, I want to hear from you all! Wow, these sound great! I travel quite a bit and I love taking wipes along since they're so convenient. They're also great for those late nights, haha. Fortunately for me, I just ran out, so now I can try these! Thanks for the tip! I tried these a while ago , for some reason it made my skin burn a bit ....dont know if it was the cleanser I was using with it that probably didnt combine well or something. maybe ill give em another shot. @ Soaicialite Dreams- Thanks so much Hun! I hope you give them a go! @ Mellie- Your very welcome girly! And I am totally guilty of those lazy late nights where I am just too tired to wash my face. These, or any wipes are skin savers LOL! @Morenita Loka- I am sorry these also caused a burning sensation on your skin too, just like it did Jess. There is probably an ingredient that causes that feeling. Is your skin very sensitive? I've used these for several years and loved them. Now they have started causing a severe burning sensation and stinging allergic conjunctivitis. Really awful reaction. Sorry to hear about the reaction these wipes gave you. 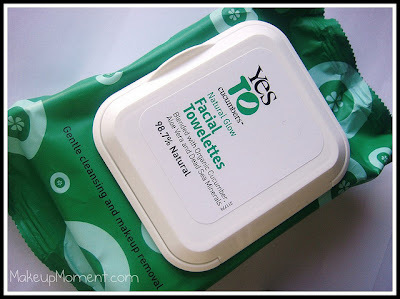 It has been awhile since I used these cleansing wipes and my experience with them was pretty good back then. But I have found other face wipes that I prefer over these. My current favorite are the Simple cleansing facial wipes. They are very gentle on my skin, and they do a wonderful job at removing the makeup off my face. They don't contain harsh ingredients either, which is a huge plus.